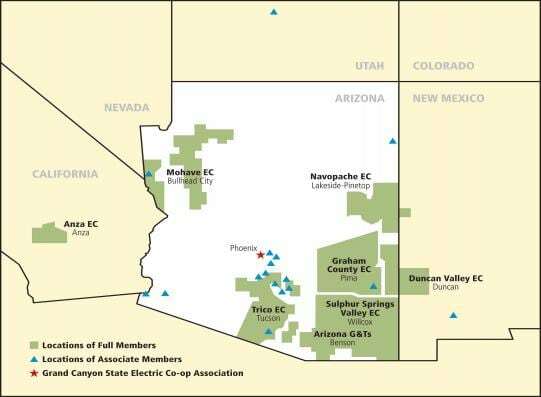 Full – Full members include electric cooperatives. They are divided into two classes – A for distribution cooperatives and B for generation and transmission cooperatives. Associates – Associate members include other organizations, including electrical districts, municipal utilities, tribal utilities and other organizations, including vendors. Aha Macav Power Services Inc.
405 West Discovery Park Blvd. Dixie-Escalante Rural Electric Association Inc.